Gazoo-m! Motor racing fans are sure to appreciate a move by Toyota to revive the heritage of one of its most famous sports cars. The Gazoo Racing Supra Concept, which made is world debut at the Geneva Motor Show, is sure to bring back Supra memories, the name evoking the power, performance and handling that defined a succession of world-class coupes from 1978 to 2002. Toyota New Zealand’s General Manager of Product and New Vehicle Sales, Neeraj Lala, says as a youngster, he remembers it was one of the most loved sports or street cars on the road. “I can’t wait to reintroduce this [car] to the roads of New Zealand. The production car is closely aligned to the original concept, so the design and styling is going to be exceptional and a real head turner. As a thoroughbred sports car, the Toyota Supra built a reputation both as a formidable performer on the road and on the racetrack, dominating Japan’s top-level GT racing series. 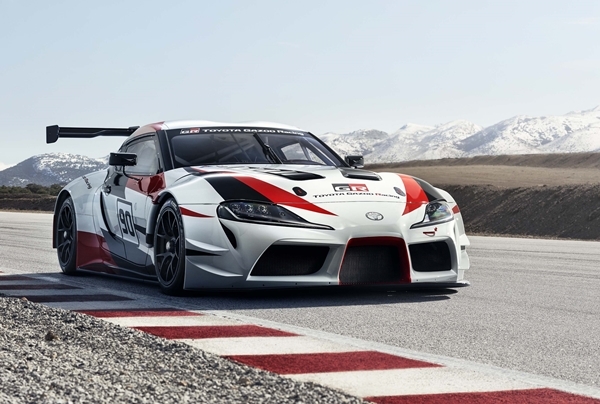 The GR Supra Racing Concept provides a huge visual clue to the fact that it heralds Supra’s return: the large ‘90’ race number on its doors is the code-name for the fifth-generation Supra, following the A40, A60, A70 and A80 series produced between 1978 and 2002.